Ezitracker, a specialist provider of workforce management solutions, has promoted Christian Berenger to evolve the brand globally. 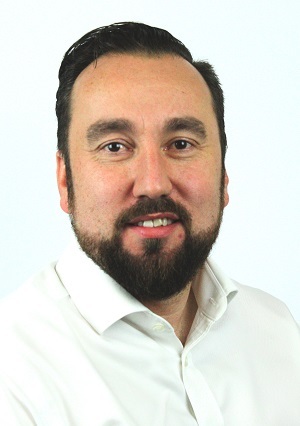 Christian, who joined the Ezitracker team in 2017 as UK Managing Director, has successfully implemented a new interface and enhanced user experience to their 80,000 global users. He brings a wealth of experience in the time and attendance sector and the facilities management market. He will now be responsible for the development and execution of a robust sales and marketing strategy for the popular workforce management software platform and its ancillary hardware products in the UK, Australia & New Zealand. Ezitracker provides web-based solutions for Time & Attendance Monitoring, Mobile Audits, Payroll Automation and Management Reporting to cleaning & facilities management companies, security companies and temporary workforce agencies. Established in 1998 and part of the HAS Technology Group, Ezitracker has built a reputation of being a trusted supplier of reliable and innovative technology solutions for better workforce management.